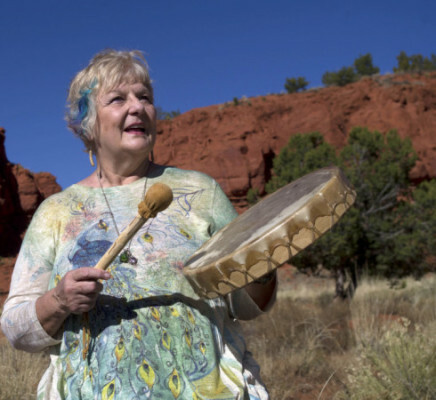 Gwendolyn channels healing energy through her voice and hands for her sound healing & sound channeling services. She also uses a variety of crystal bowls, Tibetan brass bowls, tingshas and tuning forks to augment the work. These sessions are especially helpful in unwinding emotional trauma that has lodged in the body, causing acute or chronic pain. Gwendolyn will also assist you in using your own voice to unwind and release these emotional/body issues. These sessions may be given in person or remotely via telephone, Skype, or Zoom. Each session usually lasts around one hour. The cost per session is $225. Book Now to schedule a time and pay for your session. This healing package consists of a pre-session consult to discuss your wants and needs for the session, an opening sound channeling, the healing session, and an MP3 recording of the entire session. Gwendolyn channels healing energy through her voice and hands. 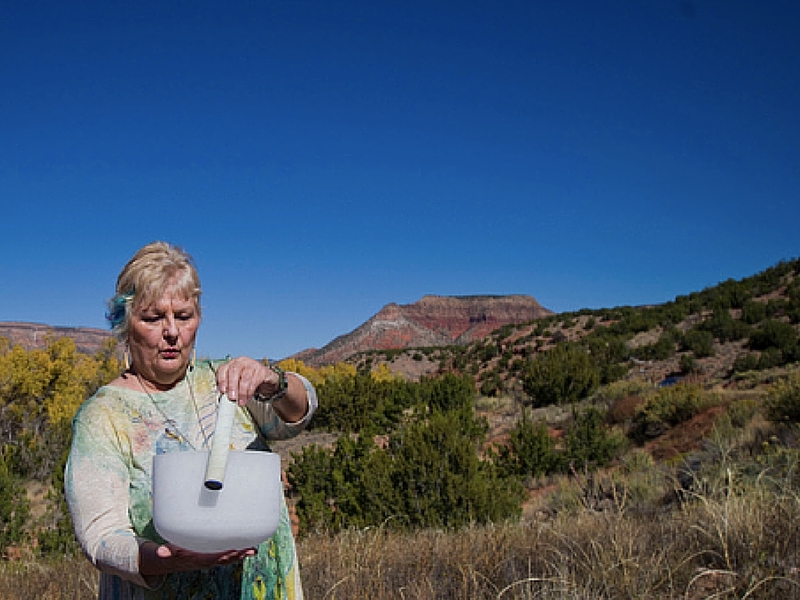 She also uses a variety of crystal bowls, Tibetan brass bowls, tingshas and tuning forks to augment the work. These sessions are especially helpful in unwinding emotional trauma that has lodged in the body, causing acute or chronic pain. Gwendolyn will also assist you in using your own voice to unwind and release these emotional/body issues. Whether you want more abundance in your life, relief from emotional or physical pain, to remove all blocks to spiritual awareness, increase your vibrational frequency -or just the perfect sound meditation, Gwendolyn will tune into your energy and allow your specific guides, spirit helpers, angels, and ascended masters to use her voice to create the perfect sounding for you. These sounds, tones, and other worldly languages are coded specifically for you. All custom sound channelings are done remotely and recorded for you in a downloadable MP3 format or on a cd. Cost for a recorded personal sound channeling is $225. To order a custom sounding, send an email to gwendolyn@gwendolynhill.com indicating where you would like your sound channeling to address and whether you want a downloadable MP3 or cd. Or you can click the button below and schedule If you want a cd, then also include your mailing address. An invoice will be sent to your email address for payment. I'm Ready For My Custom Sound Channeling!